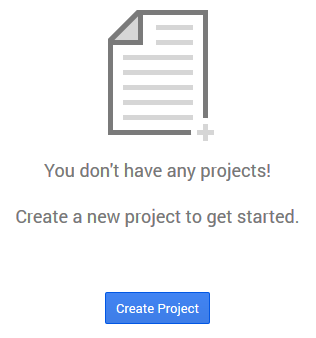 I have used Google Calendars to schedule and control a number of projects (eg. sprinkler system, alarm clock, etc) . The following How To will get you started. You will of course need a google account. and create a new project. 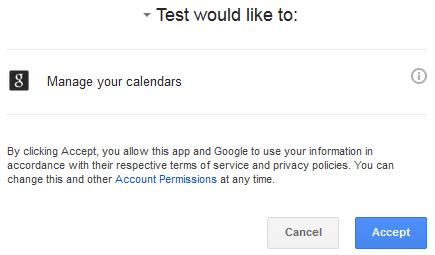 2) Select the project and navigate on the left menu to APIs & auth then APIs and enable Calendar API for this project. You can disabled all other APIs if you only need Calendar access. 3) Next, select the Consent screen menu option from the APIs & auth menu. 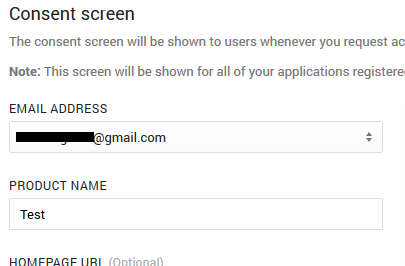 Enter a Product Name and select an Email Address. If you do not do this step, you will get a Error: invalid_client error later on. 4) Next, select the Credentials menu option from the APIs & auth menu. Under OAuth select Create new Client ID. 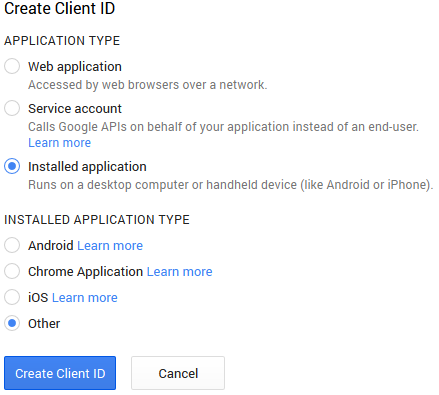 5) For the Create Client ID select Installed application for Application Type and select Other for Installed Application Type and finally click the Create Client ID button. 6) After the ID has finished being created, click the Download JSON button. Save and rename the file as something simple like client_secret.json. 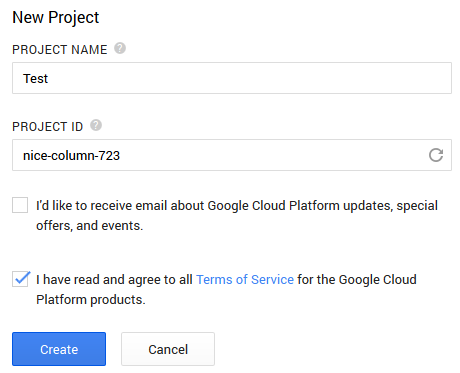 This json file contains your API credentials needed to access the Google Calendar APIs. 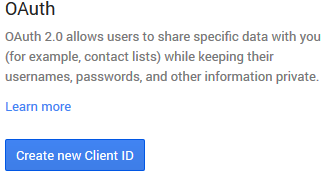 If you would prefer alternatives, view the Google APIs Client Library for Python page. Next we will need to run our application and authorize it against the desired account. The sample code is just a slight modification from the Getting Started Sample Code. The Google sample code has some outdated code that will throw some obsoleted warnings. 2) The application has not been authorized to an account yet. Run the application once and you will be asked to paste a validation URL into your browser. Login to your desired target account (with the calendars you want to access) and then paste the validation URL into your browser. For convenience I have a first_auth.py script that is the same script as the gcalendar.py script, but terminates after authorization. You can run any of the scripts to complete this authorization step. You may notice the "fakeargparse" code. The run_flow() call wants the flags to be set from the parameters pulled from argparse. I think that is overkill for what I needed, so I just created a fake container so run_flow() wouldn't complain. Run the first_auth.py script to collect the application authorization. 3) Copy the URL into the browser and accept the permissions. 4) You will be presented with a code, to which you will then enter back into the prompt of the first_auth.py application. The authorization will be stored in the credentials.dat file for future requests. Now that we have our API credentials and are authorized to access an account, we can begin to play with the Google Calendars. The upcoming.py script builds off of the first_auth.py script, cycles through the next few upcoming calendar events and displays the event titles. This script defaults to the primary calendar associated with the account. The previous script defaults to the primary calendar associated with the account. If you wish to specify an alternate calendar, you will need the Calendar ID. A calendar's ID can be found on the Calendar Details setting page (same page you can change a calendar's name on). Look for the Calendar Address line, and the Calendar ID will be in the parenthesis. It will look something like "a3sd5221ap2qe5ksbev3ip4@group.calendar.google.com". Finally, to specify a time range for events, I use the following code in my gcalendar.py script. This code will collect the next 12 hours worth of events. And this is the basis for the code I use to schedule my sprinkler system with. You're a star for posting this! I cannot tell you how many hours I've spent trying to get my Python calendar connection reestablished since Google (whose motto is "don't be evil") shut off the v1 and v2 APIs of which I never received notice. These are exactly the instructions I needed. Everything else I found is a bit outdated or vague on certain mission-critical details. Many thanks for taking the time to put this together and publish it. Very, very helpful in getting through Oauth for the first time! Wish Google had something as step-by-step as this, rather than documenting with more general syntax suggestions! THANKS!!! But the project I'm working on isn't that important, so if I am the only one having this issue, then don't worry about it! Using google-api-python-client version 1.1 if that matters. But, how can I know start time and end time for each event?